For most people, taking the time out of their busy schedule for a bi-annual dental appointment is difficult enough. Therefore, when people need to have multiple appointments for different dental treatments or cosmetic repair, finding the time to see multiple dentists can be a huge hassle. Thankfully, Gold Hill Dentistry is a dental practice that offers complete and comprehensive dental care. 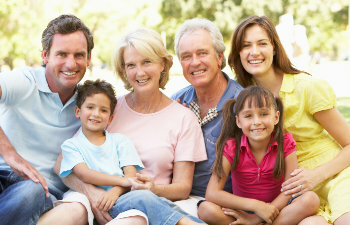 Our one stop dental practice offers services for the entire family to maintain a beautifully healthy and radiant smile. While most dental practices offer basic dental care such as routine checkups, bi-annual cleanings, teeth whitening, fillings for cavities, and other basic dental procedures, Gold Hill Dentistry also offers further, more specific dental treatments. Our South Charlotte family dentists, Dr. Kavi Sagunarthy and Dr. Jennifer Mokris are also able to perform dental crowns, dental bridges, root canals, and the ability to improve the appearance of your teeth with porcelain veneers and/or tooth colored fillings. Because separate appointments at multiple dental practices can compromise your busy schedule, our dental practice offers comprehensive dental care. Our facility has been designed to provide our patients with the highest quality and most convenient dental care possible. Cleanings, root canals, and cosmetic dental procedures can all be performed at our office using the latest technology. We are able to meet the needs of your hectic schedule and your family’s busy life. If you are looking for a dental practice to suit you and your family’s needs, Gold Hill Dentistry is your one stop service that can provide all of the care you need.